After a controversial conservative group released an undercover video featuring O'Rourke's staffers, his campaign said that those staffers "took it upon themselves" to use campaign funds to donate supplies to an El Paso nonprofit. "Beto O'Rourke camp says spending highlighted in Project Veritas video went to charity, will be "appropriately reported"" was first published by The Texas Tribune, a nonprofit, nonpartisan media organization that informs Texans — and engages with them — about public policy, politics, government and statewide issues. 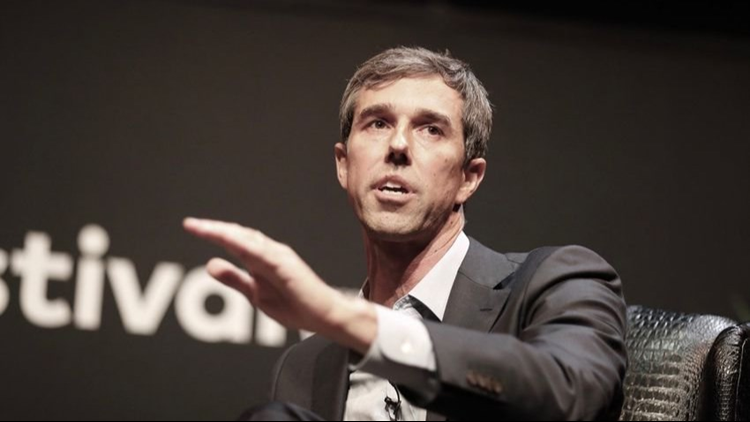 The campaign of Beto O'Rourke, the Democratic nominee for U.S. Senate, said Friday that staffers recently "took it upon themselves" to use campaign funds to donate supplies to an El Paso nonprofit and that the contributions — less than $300 total — will be "appropriately reported" to the Federal Election Commission. The statement came in response to an undercover video from the controversial conservative group Project Veritas — a video Republican U.S. Sen. Ted Cruz moved quickly to promote. On Thursday night, the controversial conservative group Project Veritas released a nearly 24-minute video featuring undercover footage from the O'Rourke campaign, purporting to show staffers "using campaign resources to buy supplies and help transport Honduran aliens." In a tweet Friday morning, Cruz sought to tie the staffers' actions to the massive migrant caravan that is currently hundreds of miles south of the U.S.-Mexico border and has emerged as a campaign issue in races across the country. Responding to the video Friday morning, O'Rourke's campaign said that the staffers were responding to an unrelated incident last week in which the federal government dropped off over 100 migrants seeking asylum at a bus station in downtown El Paso. The local newspaper said that bus station officials then called Annunciation House, a Catholic nonprofit immigrant shelter. "Staff members took it upon themselves to use prepaid cards from one of our more than 700 field offices to buy baby wipes, diapers, water, fruit and granola bars, and donate them to a local humanitarian nonprofit (Annunciation House) that helps mothers and children in the community," O'Rourke spokesman Chris Evans said in a statement. "The value was under $300 and it will be appropriately reported to the FEC." It is not unusual for campaigns to make donations to groups like Annunciation House. Campaigns are allowed to give to charity "as long as the candidate does not receive compensation from the charitable organization before it has expended the entire amount donated," according to the FEC website. In the video, a campaign staffer is shown expressing an awareness that what they are doing is improper, or at least could be perceived as improper. One talks of how he can “ignore the rules” and raises the prospect of a “$50,000 fine” if caught. While the remarks are unflattering to the campaign, they do not break the law unless the donations are wrongly reported to the FEC, according to one campaign finance expert. "The law requires accurate and correct reporting of disbursement of campaign funds,” said Paul S. Ryan, vice president of policy and litigation at the government watchdog group Common Cause. "If that happens, there is no civil or criminal violations of the law. If the campaign were to incorrectly report these funds, then the tape … would be evidence that the violation was knowing and willful." Project Veritas has been infiltrating a number of Democratic campaigns in the run-up to the Tuesday midterm elections. Over the years, the group has faced intense criticism for selective editing, while its founder, James O'Keefe, has maintained the videos are investigative journalism. In 2014, the group released undercover footage of supporters of Democrat Wendy Davis' bid for governor that drew criticism for some deceptive editing. In the Texas Senate race, the undercover video comes amid mounting efforts by Cruz and his allies to link O'Rourke and his immigration views to the caravan. Cruz and other Republicans — led by President Donald Trump — have taken a hardline stance against the caravan, insisting it must be stopped, while O'Rourke has taken a more sympathetic view, saying he does not "buy into the rhetoric" that the migrants are a threat. In a tweet Friday morning, Cruz linked the caravan to the migrants that the O'Rourke staffers sought to help, even though they appear to be separate groups. "Two basic Qs every reporter should ask Beto today: (1) should the 'caravan' be allowed to cross illegally into Texas? (Beto refuses to answer.) And (2) did your campaign dollars illegally fund their doing so?" Cruz said. During a news conference Thursday unrelated to the Project Veritas video, the Annunciation House director, Ruben Garcia, said that his organization has been receiving an average of 350 migrants daily. "We saw that happen on Friday when over 100 refugees were just dropped off at the Greyhound bus station," he said, referring to the incident in question. There have also been several dozen migrants camped out on one of the international bridges waiting to be processed. This is all happening as the caravan is still hundreds of miles from the nearest border crossing, which has some immigrant rights groups estimating the caravan is still weeks away. After his tweet Friday morning, Cruz continued to tie the video to the caravan. At a campaign event in Fort Worth, he repeated a standard joke from his stump speech about O'Rourke offering welcome baskets and foot massages to migrants coming across the border. "At least I thought it was a joke," Cruz told the crowd of supporters, "until a video broke this morning of his campaign staffers taking campaign money and apparently using it to give it to people coming here illegally." Midday Friday, O'Rourke released a statement on Cruz's tweet and comments. "Ted Cruz pushes fear and paranoia because he wants to divide and mislead Texans four days before this election," O'Rourke said. "We should be bringing people together and defining ourselves not by who we are scared of but what we want to achieve." Julián Aguilar and Abby Livingston contributed to this report.